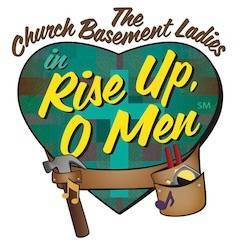 Rise Up, O Men The Church Basement Ladies, 2 p.m., Niswonger Performing Arts Center, 10700 state Route 118 S., Van Wert. Tickets: $25 to $40. Call the box office at 419-238-6722 or visit npacvw.org for tickets. VAN WERT — “Rise Up, O Men: The Church Basement Ladies” will perform at 2 p.m. Sunday, March 24, at Niswonger Performing Arts Center, 10700 state Route 118 S., Van Wert. Tickets are $25 to $40. Call the box office at 419-238-6722 or visit npacvw.org for tickets. An additional showing will begin at 7:30 p.m. that evening. This entry was tagged 032419. Bookmark the permalink.